Proper use of modifiers can connect healthcare organizations to more accurate reimbursement. Many industry experts believe the continuity-of-care document is well suited to help organizations achieve meaningful use goals. Unless your head is buried in an ICD-10 textbook, you’ve no doubt heard that many HIM service and technology vendors are battling to keep relevant in today’s changing marketplace. Using smartphones to help new mothers and diabetes patients is demonstrating positive outcomes while also revealing roadblocks to even better results. Like filmmakers, radiologists are learning how to best use 3-D visualization technology. 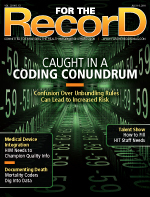 The Medicaid recovery audit contractor program promises to tower over coding operations in the near future. A new study details how hospitals in the Memphis, Tenn., area that shared EHR data among emergency departments achieved annual cost savings of nearly $2 million and had fewer hospital admissions. Care Communications has announced a package of new services to help healthcare providers accelerate their coding transition to ICD-10. 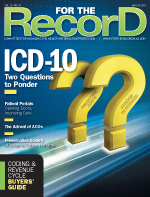 Restlessness reigns as anxious coders wonder how they will adjust to life in an ICD-10 world. As this care delivery model gains traction, healthcare organizations are looking to get a better grip on economic factors such as start-up costs and sustainability. Through a new consumer-focused program, the ONC is trying to engage patients in the value of electronic health information. After analyzing years of research, a public health project has recommended newly diagnosed colorectal cancer patients receive across-the-board genetic screening for Lynch syndrome. Less than 10% of healthcare providers are more than halfway through achieving full compliance for upgrading to ICD-10 codes, according to research firm KLAS. Industry experts give their thoughts on how the final rules concerning accountable care organizations will affect the industry. A dashboard solution helps hospital staff track key patient metrics right from their desktops in near real time. The Robert Wood Johnson Foundation has issued a challenge to develop an app that would provide consumers with access to healthcare quality data. Medical transcriptionists are questioning what role they will play in a healthcare system focused on creating electronic documents and cutting costs. Learn how a children’s hospital instituted a program that prevents EHR documentation from becoming cumbersome and unreliable. Besides ICD-10, revenue cycle management and HIM staff have several other initiatives to contend with if they are to maintain cash flow. Systemic illness, a decline in normal immune function, medication intolerance, and dry skin can all contribute to annoying itch. The challenge lies in establishing an accurate diagnosis. 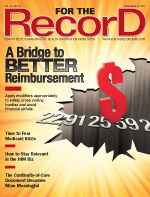 During difficult financial times, it’s more imperative than ever for healthcare organizations to create sound strategies for collecting patient payments. 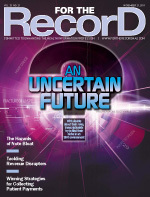 Research firm Frost & Sullivan expects the EHR market to reach its peak sometime in 2012. Researchers traveled to Latin America to determine if the use of cell phones could improve care among the poor. An education service is now accepting applications for online and on-premise training for the certified coding specialist exam. Twitter and similar tools are becoming a growing presence in hospitals looking for imaginative ways to communicate with patients and staff. Industry experts offer advice and recommend techniques for constructing a series of questions that will garner answers. Hospitals are advised not to wait for a subpoena to arrive before implementing a plan to deal with legal medical record requests. The Michigan ICU Keystone project has successfully made the case that preventing serious bloodstream infections is sustainable. The Robert F. Kennedy Center for Justice and Human Rights is spearheading an initiative aimed at providing medical reference and decision-support technology to underserved populations. Determining how the cause of a particular diagnosis might affect the final code sequencing and DRG assignment can be a head-scratcher. A new website arms consumers with millions of real patient experiences to help them make more informed healthcare decisions. A pair of partnerships have the same goal in mind: develop technology that will allow providers to more easily and effectively document care. Service-oriented architectures are being lauded for their ability to share data in a way that elevates patient care and quality metrics. For The Record salutes 10 unsung professionals who have performed exceptionally. Better-educated certified tumor registrars increase the odds that quality patient information will be collected, an important factor considering cancer treatments are based on that very same data. Poor oral health can lead to tooth decay, tooth loss, and pain that can affect elder patients’ wellness and quality of life. 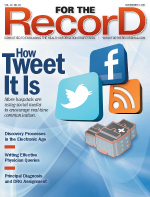 The VA has announced plans to expand its Virtual Lifetime Electronic Record pilot program. Healthcare organizations can avoid numerous HITECH headaches if they follow proper protocol when disposing of retired PCs. To meet the demand for HIT staff, some healthcare organizations are looking to hire qualified candidates from within. Health and Human Services has launched a new website aimed at educating providers and patients on the benefits of HIT. Study results indicate EHR use can have an effect on infant mortality. Get the lowdown on this and other healthcare facts and figures. 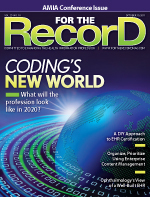 Industry experts offer their perspectives on what the coding profession will look like in 2020. The Certification Commission for Health Information Technology’s EACH program helps providers that would rather not adopt a vendor-certified EHR meet meaningful use requirements. A more structured approach to enterprise content management provides an opportunity for HIM departments to play a leading role. UCLA researchers uncovered disturbing findings when they investigated whether bladder cancer patients were receiving guideline-recommended treatment. The American Academy of Ophthalmology is urging EHR vendors to create a product more conducive to the specialty’s workflow. Patients in an integrated healthcare system that uses EHRs get their prescriptions filled at a higher rate than those in nonintegrated systems, according to a new study. The Mayo Clinic has found that social media can be leveraged as a tool to quickly recruit large numbers of study participants when researching rare diseases. A software package enables healthcare organizations to test their ICD-10 prowess while using current ICD-9 codes. In today’s audit-intensive and electronic environment, experts say hospitals need to follow specific steps to meet new regulatory requirements. Apple’s ballyhooed and much-loved device is making significant inroads into the medical realm. 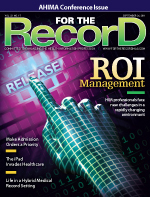 Living in a hybrid medical records environment requires a balancing act in which HIM professionals juggle electronic and paper formats with scanning solutions. Interventional radiologists use an excimer laser to remove embedded inferior vena cava filters. Does your inpatient coding team review the doctor’s admission order as a matter of course on each case? A peer-reviewed study found significant cost reductions and a decrease in redundant diagnostic testing when HIEs were used at the point of care in emergency departments. Creating an appropriate evaluation methodology is critical to ensuring a sustainable HIE. The VA has issued employee guidelines for the proper use of social media, including how best to protect the privacy of patient data. ICD-10 Coders Academy and Elsevier Health have created an online ICD-10 training program targeting coders preparing for certification examinations. Defeat persistent problems such as concrete walls and temperamental signals to create a modern, connected hospital environment. The supercomputer that took Jeopardy! by storm is setting its sights on winning over the healthcare industry. The increased use of mobile devices in hospital settings has complicated matters for privacy officers. Once they reach this milestone, women need to reassess their game plan for staying healthy. Two respected HIM industry veterans take exception to the idea that coders are not suited to be clinical documentation improvement specialists. When voice recognition systems lose their—ahem—voice, most hospitals go back to the future and employ microcassettes and transcribers. Qualifying for federal stimulus funds remains a strong incentive for healthcare providers considering a transition to an EHR. The American Academy of Family Physicians has launched an online patient survey portal that its members can use to gather, organize, and report patient satisfaction information. DrChrono has announced that it’s partnered with M*Modal to integrate medical speech-to-text functionality into its iPad EHR app. 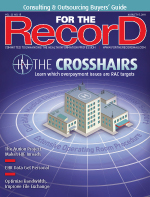 Depending on the region, recovery audit contractors have taken a shine to certain issues where hospitals are falling short of compliance. An expansion of the federal “Connect” program, this initiative strives to promote health information exchange through the use of open source technology. A Mississippi imaging group found a way to get maximum use from less-than-maximum bandwidth. The Centers for Disease Control and Prevention has updated the guidelines for preventing the spread of noroviruses. Using EHR data, some physicians are creating personalized treatment plans that allow patients to better understand their roles in the care process. A national survey documents the growing pains and successes of 255 health information exchange initiatives. A compendium of healthcare organizations have joined to launch an online network that collects and distributes information on adverse drug events in the United States. For providers concerned about the impending 5010 deadline, a consulting firm has introduced a program that assures hospitals and health systems are on track to avoid revenue cycle disruptions. Smart healthcare organizations are learning from the experiences of others to get a better handle on how to best satisfy meaningful use requirements. Experts agree that the introduction of value-based purchasing programs will force clinical documentation improvement programs to change their approach. The VA’s telehealth program uses its vast resources to go beyond the reach of most and extend care to veterans worldwide. Physicians can choose from several promising revascularization procedures to enhance blood supply following a patient’s heart attack. Nancy Brighindi, PhD, CAE, was kind enough to answer a few questions regarding her new role as CEO of the Association for Healthcare Documentation Integrity and the Clinical Documentation Industry Association. Approximately 80% of respondents in a new IBM research survey reveal a willingness to pay a “reasonable price” for mHealth devices. Quality assurance, which plays a vital role in patient safety, is a combination of good dictation habits and keen medical knowledge. Some healthcare organizations are catching on to the idea of designing their websites to be smartphone ready. HIT training materials used by the Community College Consortia Program are now available to the general public. A tricky proposition for coders, unbundling can lead organizations down a path toward noncompliance. A special branch of the World Health Organization is taking steps to ensure mortality coders are gathering high-quality data. HIM professionals need to be at the forefront of discussions regarding how healthcare organizations will handle the generation of this data. Besides early diagnosis, researchers are touting the effectiveness of a blood pressure medication. How do healthcare organizations go about selecting the best candidates to fill HIT staff openings? Weill Cornell Medical College researchers report that transitioning to an e-prescribing system carries both risks and rewards. To facilitate clinical trial enrollment, PatientsLikeMe has added a feature to help connect patients with the most appropriate options in their area. A new ICD-10 translation tool can help HIM departments make the conversion from ICD-9. Through innovation and hard work, the HFMA’s MAP Award winners are reaching the heights of revenue cycle success. 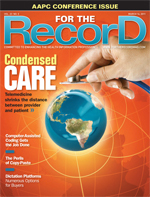 Retrace the long and winding path that has led healthcare providers to the verge of widespread EHR use. Industry veterans offer pointers for transcription and coding companies contemplating the formation of overseas operations. Older kidney disease patients must be armed with knowledge that enables them to select appropriate treatments, including dialysis. According to a report from the Center for Studying Health System Change, many physicians find that e-prescribing systems often have incomplete data and limited usefulness. 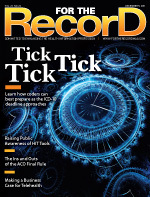 Several government initiatives have put a pinch on coder productivity, resulting in delayed claims submissions and more days in accounts receivable. A project coordinated by Children’s Hospital Boston found that social networking tools, in conjunction with PHRs, could be valuable for monitoring chronic diseases. A 3-D navigation tool allows users to view a model of a female or male body in specific detail. 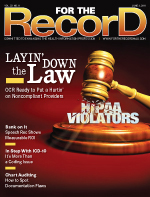 Two recent cases serve as examples of the Office of Civil Rights’ intensified efforts to punish HIPAA violators. Chart auditing programs help providers and health systems determine where their documentation may be falling short. Research indicates healthcare organizations receive a demonstrable return on investment when they implement speech recognition technology. The ISET Symposium on Clinical Interventional Oncology was the setting for a discussion of the merits of catheter-based treatments for hepatocellular carcinoma. The MetroChicago Health Information Exchange takes the Windy City to new heights as it plans to serve an unprecedented 9.4 million patients. Evaluation and preparation are key primers to getting an ICD-10 project headed in the right direction. The Centers for Medicare & Medicaid Services have made public an online tool that lets consumers gain access to patient safety data. Six organizations have released an updated guide featuring tips on how clinicians can get the most out of e-prescribing technology. The massive project’s chances of succeeding plummet if a healthcare provider’s software vendor isn’t on board and budget estimates prove difficult. As patient portals grow in popularity, more healthcare organizations are realizing the value of secure information exchange between physicians and consumers. Accountable care organizations have the potential to revolutionize the healthcare system—or send it into more disarray. Hypertrophic cardiomyopathy hits suddenly and often without warning. Are there steps that can be taken to help prevent this genetic disorder from striking? A Sage Healthcare survey found that patients and providers alike believe EHRs can help improve care. 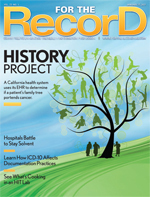 EHRs offer great promise, but all could be lost if patient narrative is not preserved. That’s where transcriptionists come in. 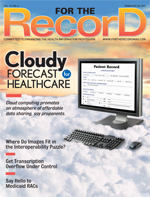 ClearPractice and Prognosis have developed a software-as-a-service EMR solution to connect hospitals and their affiliated physicians. 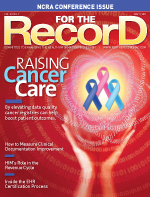 By boosting the quality of data contained within its cancer registry, a healthcare organization can realize benefits throughout the care continuum. Industry experts offer tips on how to tell whether a clinical documentation improvement initiative is generating benefits throughout a hospital. Although it may not seem like it, HIM departments serve as hubs of economic activity, controlling many hospital finances through daily decision making. The latest incarnation of telescoping rods has produced impressive results in patients suffering from osteogenesis imperfecta. According to a survey, medical groups face serious challenges on the road to meeting the upcoming HIPAA 5010 guidelines. EMRapproved.com has launched a series of new online research tools and directories. Products and Services An alliance between AAPC and Navicure will provide education opportunities for providers seeking HIPAA 5010 and ICD-10 advice. An alliance between AAPC and Navicure will provide education opportunities for providers seeking HIPAA 5010 and ICD-10 advice. 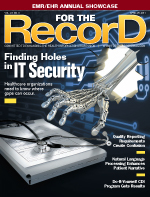 Healthcare organizations can adopt several tools to help them find vulnerable areas that may be ripe for breaches. The quality reporting requirements included in the meaningful use guidelines have left some healthcare organizations seeking more clarification. Hospitals can use natural language processing to analyze patient narrative to improve quality and efficiency and enhance clinical outcomes. Results from a federal study offer hope to parents who receive a prenatal diagnosis. Improving collaborative communications is a chief concern for health technology professionals, according to a survey conducted by business communications firm Avaya. Learn how a 100-bed hospital bypassed vendor help to forge its own documentation improvement program. Career Step and YES HIM Consulting have pooled their resources to develop an ICD-10 education solution. Clinical decision-support systems can lead to streamlined care, but it takes significant effort to ensure appropriate workflows and user interfaces. The advent of EHRs is adding another layer of complexity to the fray as hospitals, ROI outsourcing providers, and lawyers attempt to determine what’s a fair price. Mobile devices hold great promise as a tool that can help achieve affordable, reliable care for the masses. A recent trial provides clear evidence that CT screening reduces lung cancer mortality. Will those findings translate into new screening recommendations? 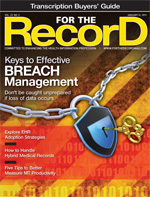 The average cost of a data breach for a U.S. company increased to $7.2 million in 2010, according to an annual study by the Ponemon Institute. Lean management advocates argue it’s more important to improve quality than it is to slash budgets. A nationwide study found that hospitals are failing to take full advantage of social networking tools such as Facebook. The National Institutes of Health has announced the first NIH mHealth Summer Institute, a weeklong workshop designed to connect participants with leading experts in the field. 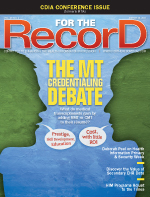 Should medical transcriptionists be required to become credentialed? MTs wonder whether it’s worth it, while industry executives believe it could add panache to the profession. There’s value in the mining of secondary EHR data, but privacy advocates caution that it’s vulnerable to abuse. 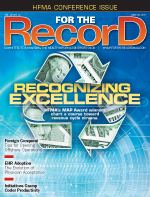 Some industry veterans believe it would have been wise to reward providers for moving old paper records into a digital format. By combining the skills of a brain surgeon with those of an ear, nose, and throat specialist, a surgical team gains notice for its unique approach. 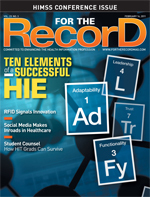 HIM programs across the country are playing a leading role in preparing students for an electronic environment and the upcoming ICD-10 onslaught. Watson the supercomputer of Jeopardy! fame is going to try its hand in the healthcare realm thanks to a partnership between IBM and Nuance. Patient Privacy Rights founder Deborah C. Peel, MD, writes about the importance of Health Information Privacy & Security Week. A study from the George Washington University School of Medicine and Health Sciences says physicians using Twitter need more oversight. The American Academy of Family Physicians and Surescripts will provide doctors with a messaging service that promotes electronic communication. Computer-assisted coding takes advantage of natural language processing to boost productivity. Physicians who rely on shortcuts to populate patient EHRs leave themselves vulnerable to serious consequences. Telemedicine allows healthcare organizations to reach remote patients who might not otherwise be able to receive such specialized care. For older adults, difficulty swallowing may seem like another consequence of advancing age, but in fact it can be a sign of more serious health concerns. According to a HIMSS survey, providers have much ground to cover if they are to meet the timeline set for 5010 compliance. Myriad choices make it difficult for HIM directors and central purchasing to feel comfortable when selecting a dictation platform. The number of people using the Web to gather health information has grown to the point that it now ranks as the third most prevalent activity among Internet users. A new mobile RTLS app allows users to access patient, staff, and equipment locations from their mobile devices. Adoption has been slow to this point, but signs indicate more healthcare organizations are looking into cloud computing strategies. Smart healthcare organizations can take steps to ensure they have plans prepared in the event they see a rise in the number of dictated reports. Just what coding departments needed: another auditor ready to pounce on any suspect claim. Early returns from researchers show promise for a new treatment that will decrease pain for patients recovering from surgery. One half of U.S. hospitals are at risk of failing to meet federal requirements for achieving meaningful use, according to a report. The ability to digitally transfer images is a component of interoperability that sometimes goes overlooked, but experts say it’s well worth the effort. A media services company has launched a content program for hospitals and other healthcare institutions looking to use social media to connect with patients. 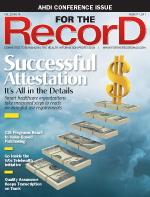 The state of Mississippi has turned to a registry solution to help it measure provider progress toward meaningful use. Industry insiders offer their expert opinions on the ingredients that make a winning initiative. Smart healthcare organizations are joining the social media revolution to take advantage of its myriad ways to communicate with consumers. 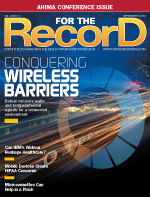 Learn how radio-frequency identification technology accentuates a health system’s EHR and helps improve diabetes management. Celiac and thyroid diseases often go hand in hand, making it important to recognize the possibility of a dual diagnosis if treating one doesn’t make the problems dissipate. Separate surveys measure the impact of HIT on small physician practices and the intent of office-based doctors to meet meaningful use requirements. Allied healthcare students need to develop five specific skills if they are to be successful in an electronic environment. A study conducted by researchers at the University of Michigan Medical School found that adding an interactive online community to an Internet-based walking program significantly decreased the number of participants who dropped out of the program. Nuance’s new point-of-care app empowers clinicians to dictate when and where they want. 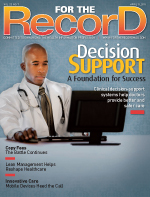 Vendor selection and gaining staff buy-in figure prominently in healthcare organizations’ EHR adoption strategies. There are countless moving parts to the disclosure management process, making it imperative that healthcare organizations be well prepared. Healthcare organizations can get as electronic as they want, but it seems inevitable that they’ll be managing paper documents in one form or another for some time to come. Much of the research presented at this fall’s American Society for Radiation Oncology meeting focused on ways to better image and treat prostate cancer. According to a University of California, Davis study, EHR use has varying effects on productivity depending on medical specialty. A transcription services manager presents five tips on how to better measure medical transcriptionist productivity. In an effort to identify patients at risk of developing certain cancers, a VA health system is using its EHR to collect family history data. 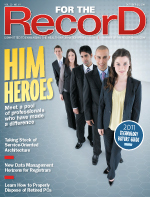 When the new system takes over in 2013, it will be a whole new ball game for coders, CDI specialists, and physicians. Research conducted by the Healthcare Innovation and Technology Lab reveals how the industry is swimming with ideas on how to improve care. Using near-infrared spectroscopy delivered through a catheter may help doctors better identify arterial plaque that is likely to cause heart attack or stroke. A HIMSS Analytics white paper measures the progress being made in integrating medical devices with EMRs. A business consultant offers advice on how hospitals can weather these tough economic times. The Midwest Community College Health Information Technology Consortium recently launched a website to recruit students and provide employers with information on HIT training. A wireless-enabled device allows patients to transmit medical data from home to their EMR in real time.